Too much grooming can have health consequences. If your kitty is an especially obsessive and frequent groomer, it's understandible that you may find her serious attitude toward cleanliness to be cute and charming. However, compulsive grooming can be a sign that something is not 100 percent right in your fuzzy one's universe, so pay close attention. Stress and anxiety are big-time culprits behind obsessive grooming behaviors in cats. When a kitty is feeling emotional turmoil she can turn to nervous behaviors such as nonstop grooming. Think of it as the feline equivalent of a human biting his nails out of worry. Whether your cat is upset over the presence of a new cocker spaniel in the house or over the chaos and confusion of a major move, she may turn to constant licking and grooming of her coat -- poor thing. A cat may also begin over-grooming as a frustrated reaction to lack of daily stimulation. She's bored to the point of sickness, so take note. If you're concerned about your cat's compulsive grooming but need a little confirmation that she is indeed doing it too much, take a quick look at her coat. When a cat licks her fur excessively, tufts of it can fall out. Uh oh. If you notice bald spots throughout your cat's coat, it may indeed be a direct result of her grooming problem. However, bald patches throughout the coat can point to various other medical conditions, including overactive thyroid, food allergies and ringworm. To be totally sure about what's going on with your precious pet's hair, take her in for a veterinary examination, stat. Not only can compulsive cleaning indicate various health ailments, it can cause them, too. Over-grooming behaviors trigger annoying hairballs, those ugly wet clumps that cats cough up after minutes of driving you batty with excruciating retching and hacking sounds. These hairballs collect inside a cat's stomach due to the accidental swallowing of fur during grooming. Understandably, the more your cat grooms, the higher her chance of experiencing hairballs, especially large ones. Although most hairball woes go away as soon as Kitty throws up, that's not always the case. For example, when a hairball grows too vast in size to comfortably move through your cutie's digestive system, dangerous and even potentially fatal intestinal blockage could take place. If you're in any way worried that this may be going on, observe your cat for symptoms including exhaustion, appetite loss and constant, fruitless vomiting attempts. Hairball blockage is no joke, so waste no time in getting her to the veterinarian if necessary. You don't have to just sit back and watch your cat toil in over-grooming misery. A few tweaks to your schedule may go a long way in keeping her grooming habit under control. If your cat is stressed out and anxious, giving her just a little more attention and TLC may be all that she needs, whether you do so through playing together or even good old-fashioned cuddling. If boredom is the root cause, invest in a few exciting and interactive toys for your fluff ball, whether a feather wand or a motorized mouse. As mentioned previously, compulsive cleaning may be rooted in medical issues, so get your pet to the vet as soon as possible. The vet may be able to pinpoint the issue and get your pet's health and lifestyle back on control. For example, if food allergies are causing your little one to obsessively groom, allergy trials may be able to point out the specific problem food once and for all. 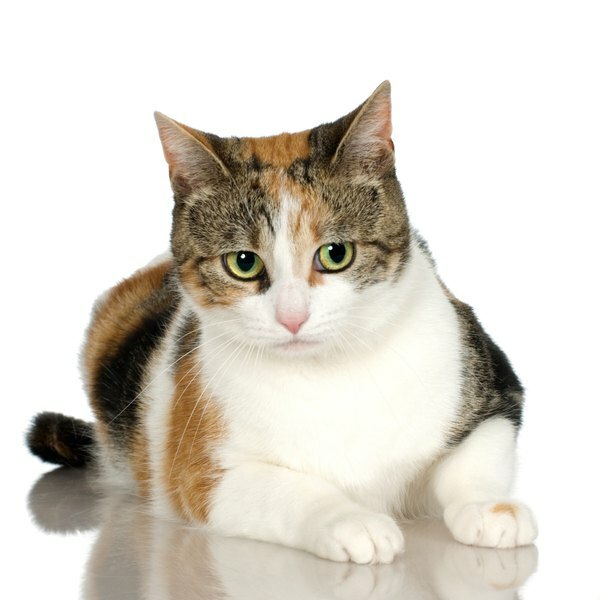 Once you cut the offending item out of your cat's diet, she may be as good as new within weeks. Buh-bye, nonstop grooming and unsightly bald patches.